Here are some ‘non-mainstream’ books written by seasoned authors offering extra-ordinary insights that you can, and would be wise to, use in your business. ~ By Business Power Tools founder, Burke Franklin. Business Black Belt details the business, management, and marketing principles of Burke Franklin, creator of JIAN (Now Business Power Tools). This book is packed with keep-it-simple insights, some contrarian points of view, and unconventional approaches to business. This is not a technical book or a management tutorial, it’s a collection of proven ideas that you can act upon immediately. Anyone building a business — including entrepreneurs, managers, programmers, executives, or marketers — will find value and inspiration in this book. That’s what I said when I read this new book from Michael E. Gerber and Fred Parrish. Personally, I’m more right-brain than left-brain, that’s why I wanted the financial models we make, but finally, here’s a good explanation for all of it. What’s The E-Myth? It’s the legendary and now iconic book series launched way back in 1986, written by Michael E. Gerber, explaining why most small businesses don’t work and what to do about it. The E-Myth Chief Financial Officer (CFO) explains why the financial life of a small business is most often chaotic, frantic and confused with the financial life of a small business owner. Learn what most CPAs and accountants can’t tell you and how it’s hurting your company. Learn why every business owner is at risk of a fatal decision at any time and how to avoid the disasters that follow. Learn why predictive management is far superior to reactive management and how to execute it. The key is this: Every decision is a financial decision. And to survive, every entrepreneur and business owners needs to understand that and learn accordingly. 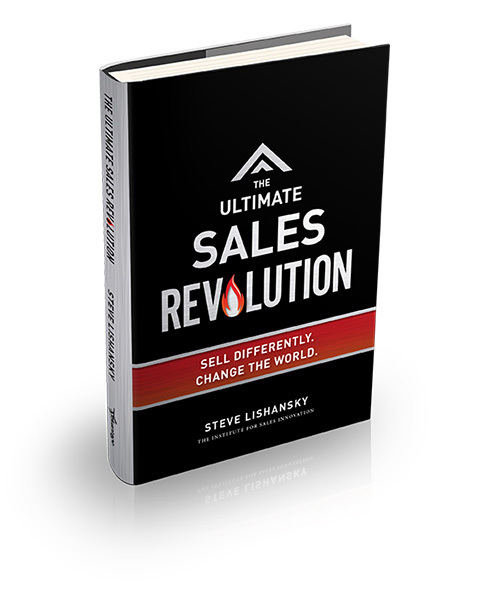 The Ultimate Sales Revolution brings solutions to the challenges in sales today. It gives you a map of the process to achieve the highest level of professional relationship, what Steve Lishansky calls becoming an “Indispensable Partner” in your client’s success. It teaches you how to build high value, effective, and sustainable relationships with everyone you aim to influence. It reveals the essential universal human dynamics at the heart of every successful client relationship. It gives you the what, why and how to create more impact, value and results with everyone you work with. This is a dramatic upgrade to the sales trainings we got in the 80’s and 90’s! Thank God, it’s about time… and it makes all the sense in the world. If you sell anything, read this book! Royalties are a sharing of an agreed percentage of defined revenues during an agreed period. This method is the fairest and most logical way for the user of an asset owned by another to produce mutual benefit. The attraction of royalties to business owners is the availability of capital on a non-equity dilutive basis. The royalty investor is not an owner of the business and therefore does not have the rights, benefits, or liabilities of ownership of business valuation volatility. The royalty investor simply has the ownership of a percentage of the issuer’s defined revenues. The royalty investor is solely interested in revenues and the expectation of increasing revenues, not the details of running the business. Likewise, the business owner does not have the possibly disturbing investor inquiry regarding issues of compensation and business management. Royalty investors do not have a vote or ability to influence management of royalty-issuing companies. The book, with more than 160 “chapters” is a fast read if one is selective as to the chapters reviewed. The chapters are only a couple of pages each. 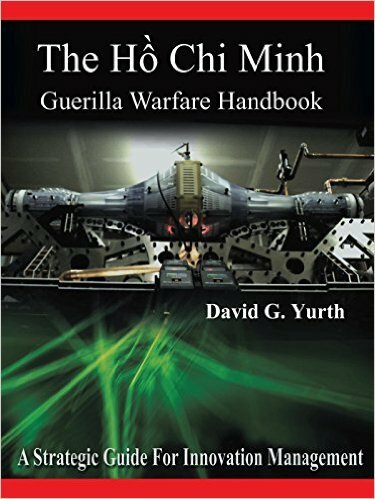 Think of this book as a modern Art of War for technology innovators. I’m here to support solutions succeeding it in our world. If you have such a solution, please read this book! This book is one of the most current and comprehensive publications on the market today, as it speaks to the initial question of whether the reader has the “right stuff” to become an entrepreneur and if so, then building a “body of knowledge” to successfully launch the entrepreneurial venture. The book is divided into two sections with the first section covering case studies and a personality inventory examination and the second section instructs the reader on such important issues as venture selection, legal and organizational structure and planning, marketing, capital formation, securities compliance and initial public offerings, exit strategies and business plan preparation and presentation. Hiring Secrets of the NFL defines the secrets of success for talent selection in the NFL and their application to corporate hiring. Hiring Secrets of the NFL analyses the successes and failures of an array of high profile individuals, including football players Terrell Owens and Randy Moss, corporate CEO’s Jack Welch and Carly Fiorina, Rudy Giuliani as mayor of New York City and Larry Summers as president of Harvard University. The Hiring Secrets Scorecard will assist you in hiring technology-savvy executives and make a touchdown for your organization. “Dr. McCue does an excellent job in providing an overall roadmap to e-commerce and making sense of the Internet as a business and marketing medium. She raises the appropriate questions…and also offers valuable insights and checklists for developing a successful e-commerce strategy and creating effective Web sites.” James Van Wert, DPA, Senior Advisor for Policy Planning and E-Government, US Small Business Administration. David Corbin will reveal how he has assisted companies, from Fortune 100 mega companies, to small and medium sized companies, to enroll their employees into the essential behaviors associated with awesome customer / client / patient relations. As an MBA professor, author, and customer service consultant, I had the opportunity to review early drafts of Ray’s excellent book. This is a gem. It nails the importance of building customer VALUE. It ties together a rationale for company efforts to serve, satisfy, and create loyalty with the customers who determine the success of the business. The writing is clear and straightforward and the content invaluable for any business person interested in boosting the bottom line (and who isn’t?) Congratulations to Ray and Janice for offering an excellent addition to our field of knowledge. I highly recommend this book. How to develop a marketing plan that will jumpstart your sales, attract new customers, grow your business… AND out-market your competitors. Understand exactly what marketing is and what itisn’t? Learn how to write a marketing plan? Generate more leads for your company? Generate more website traffic, leads and sales? Learn which marketing programs work and which don’t?